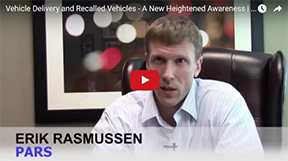 PARS’ Erik Rasmussen, Director of Outside Operations, recently spoke to Fleet Management Weekly about its unique service of checking for open safety recalls on every car entered into the company’s system, including the variety of options available for recalled vehicles. Click here to see the video. Coming to Your Town, A PARS Driver! What do the ice cream capital of the world, the birthplace of the Ferris wheel, and the home of the world’s longest boardwalk all have in common? These are all places PARS drivers have been as part of a vehicle relocation! Each year PARS drivers log millions of miles relocating customers’ vehicles. There aren’t too many cities or towns in the United States that PARS drivers haven’t experienced as part of a vehicle pickup or delivery. Naturally, visiting so many different places leads to some interesting stories and obscure factoids from our drivers. Did you know that Myrtle Beach, SC, is considered mini golf capital of the world? Or “The Outsiders” was filmed in Owasso, OK? Or Norfolk, VA, boasts the USS Wisconsin? Or Bennington, VT, has a 306-foot obelisk commemorating the Battle of Bennington? These are places our drivers have experienced and enthusiastically described to their colleagues and families. “We have a number of drivers who will tell me stories about the places they go, the history, the people, and the architecture. I enjoy listening to their stories and learning new trivia about American cities,” remarked our Kansas City employee, Kim Boese. So, if you’re wondering if PARS has been to your town, chances are we have. And, if we haven’t been there, we will. Who knows, maybe our driver will even share stories about your town and what makes it so special!